My day, for the most part, was long and gloomy. I spent the first half at a funeral and the second half at a birthday party for a dead man. 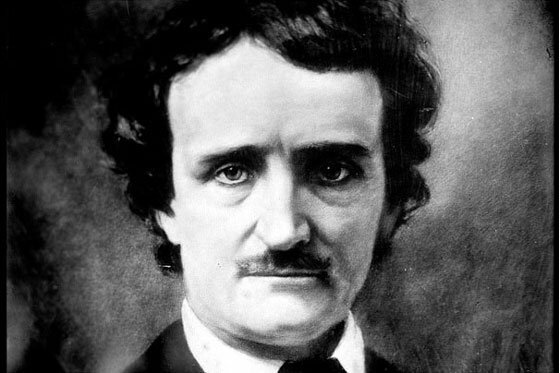 It probably doesn't sound like it would be very inspirational, but it helps that the dead man was Edgar Allan Poe. Since most of Poe's prose (say THAT three times fast!) focused on the mind of the protagonist, I turned the page and a half of writing that I completed today into my lead's introspection. She's being pushed to what she thinks is her breaking point, so it's definitely an interesting time to be inside of her head. This strange little Poe-inspired exercise today helped me to see exactly where my protagonist is truly afraid, as well as where she has great strength - even if she doesn't see it herself. When I make that CRITICAL TURN in the plot that's coming soon, it's going to have a much more effective impact now.